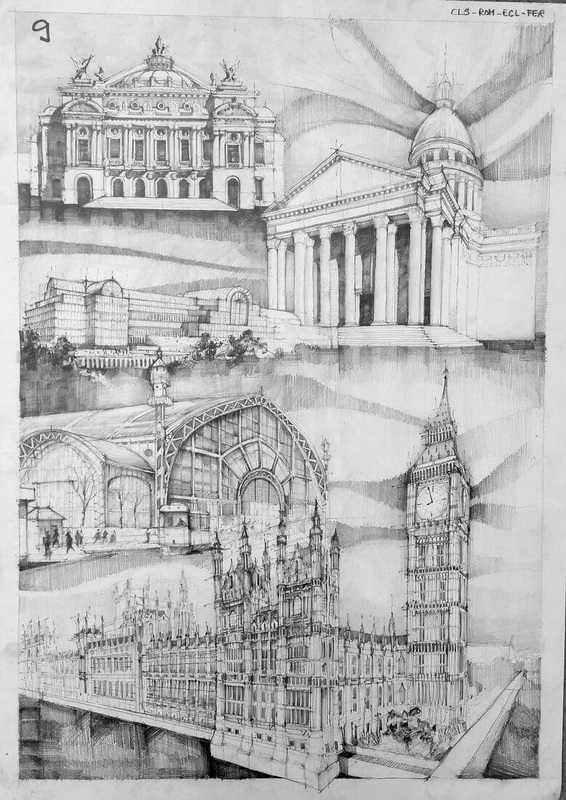 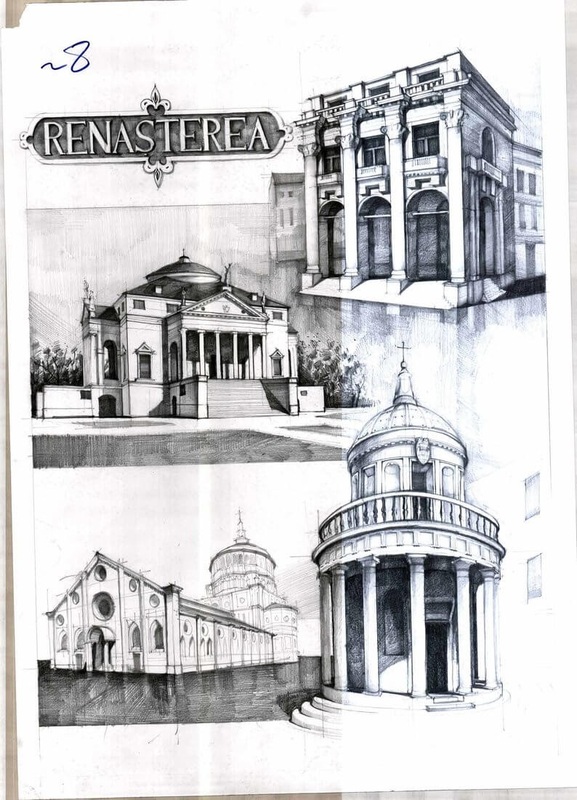 A student that visits the link between past and present, thanks to enduring buildings, expressed in architectural drawings. 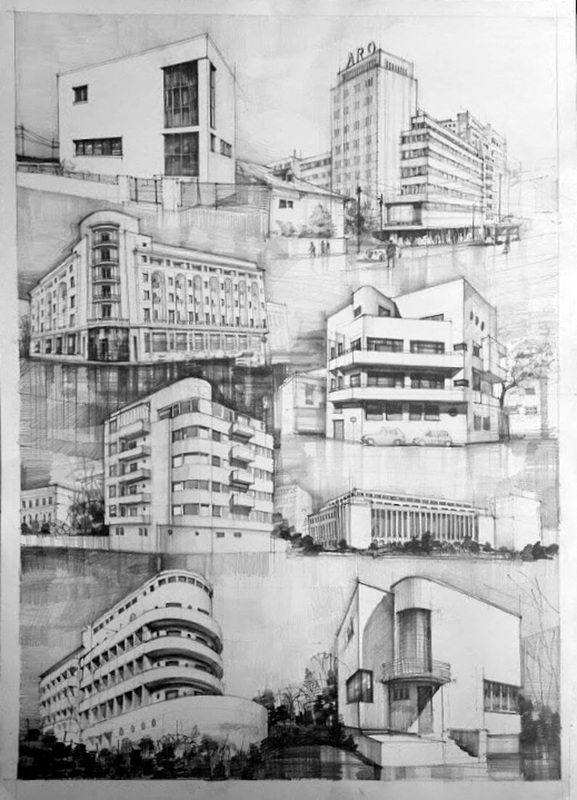 Vlad Bucur is an Architecture student at the "Ion Mincu" University, in Bucharest. 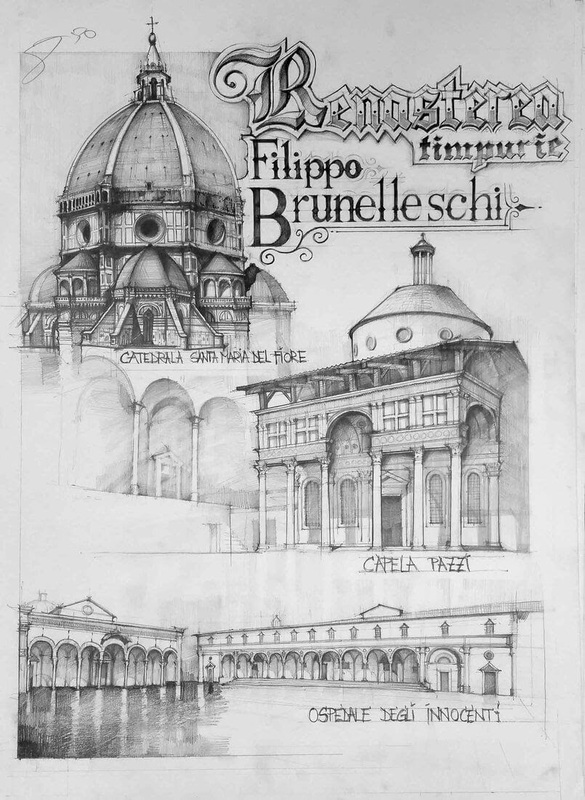 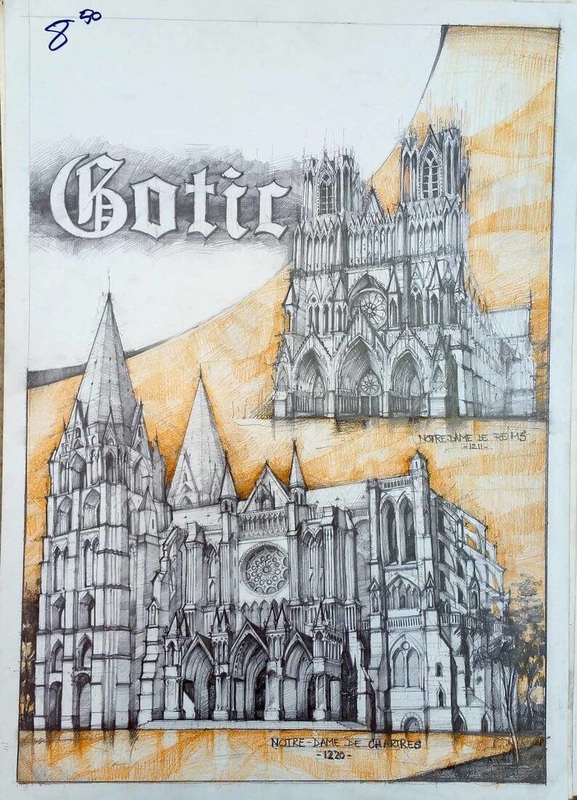 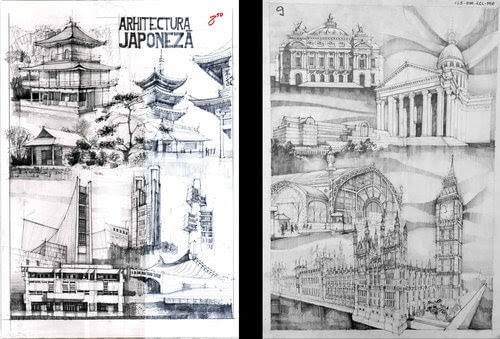 He is studying Architecture and Urbanism, and the drawings below, I am guessing, are assignments. 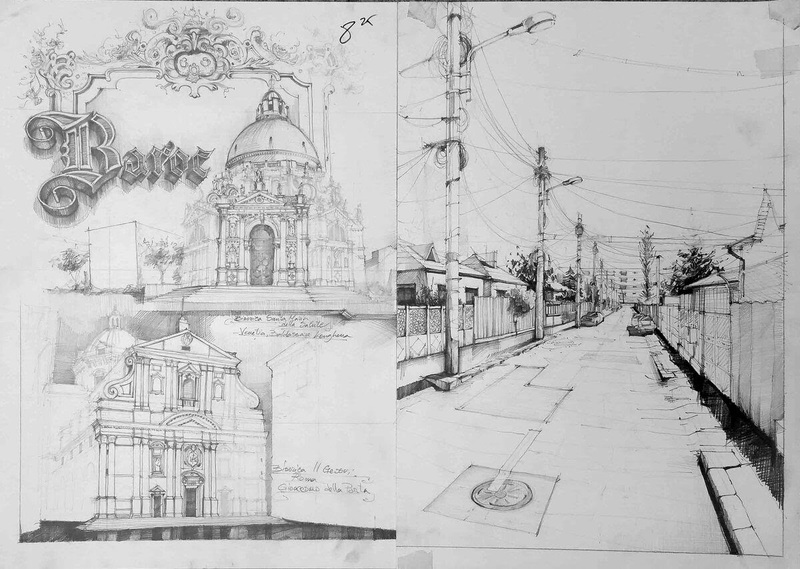 I think that you can see the marks that the lecturer left on most of them. 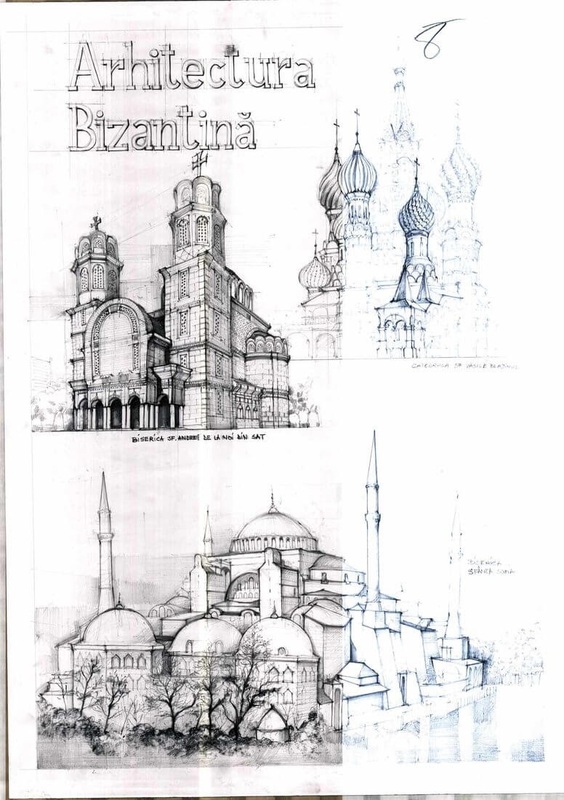 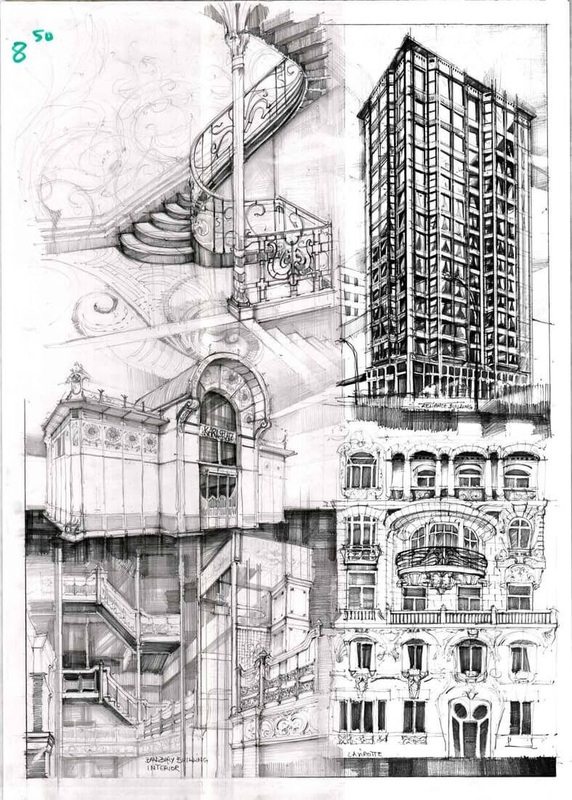 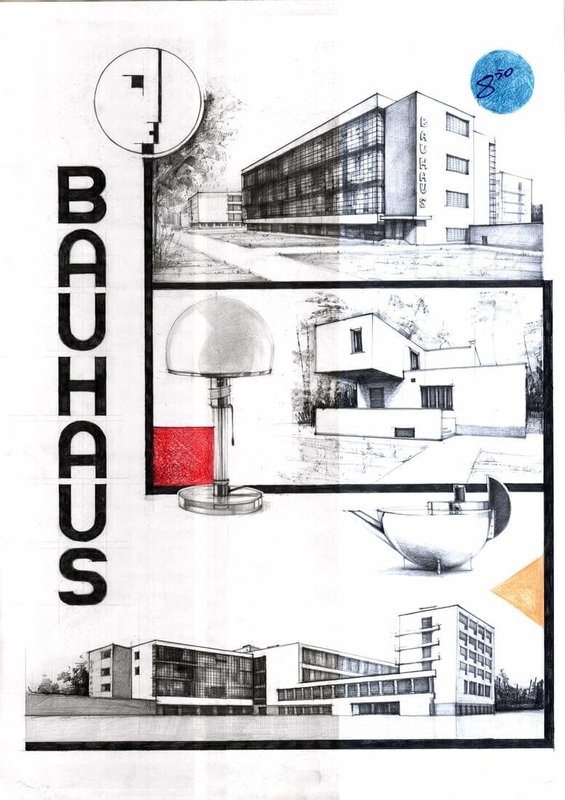 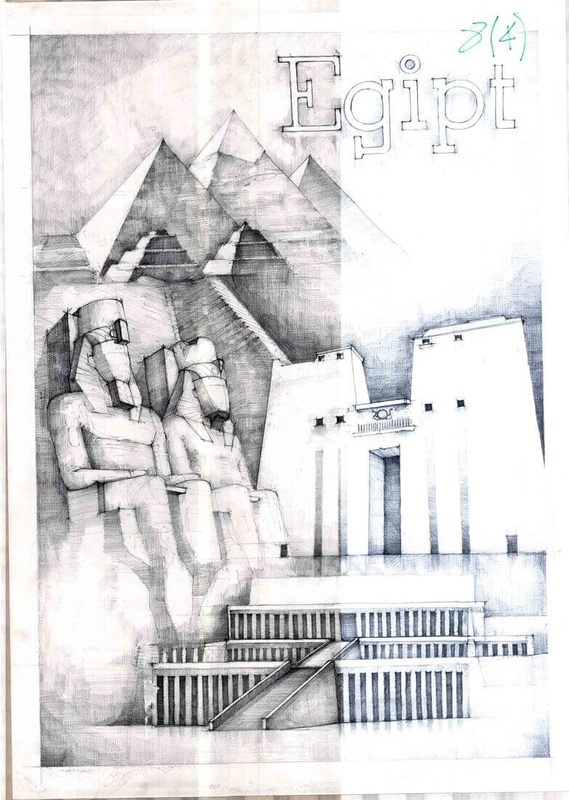 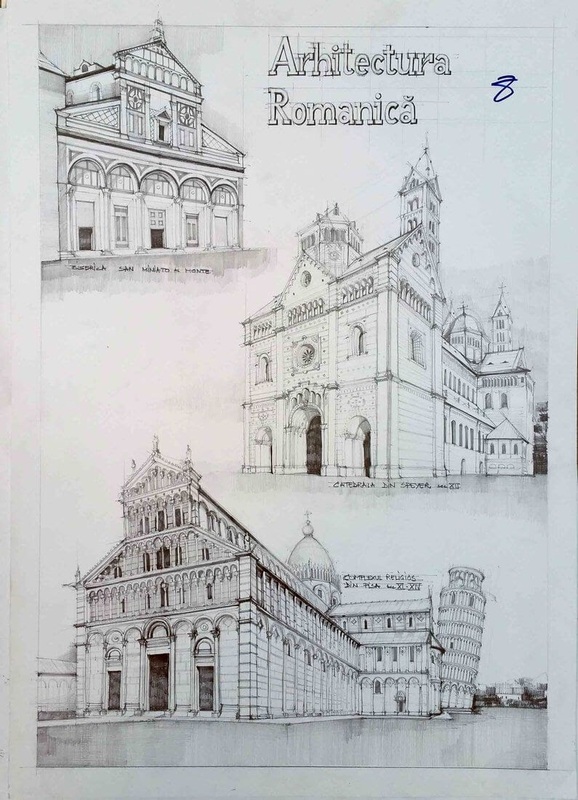 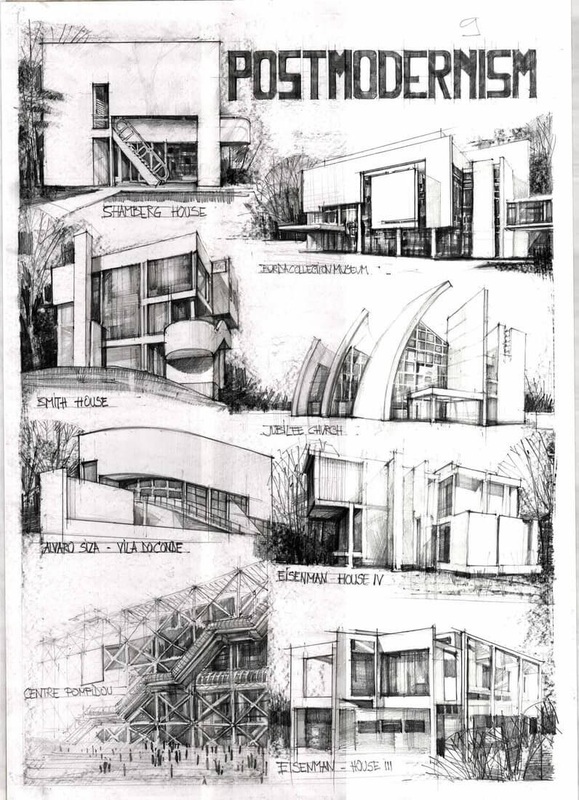 Great drawings chronicling architecture, through different eras and countries. 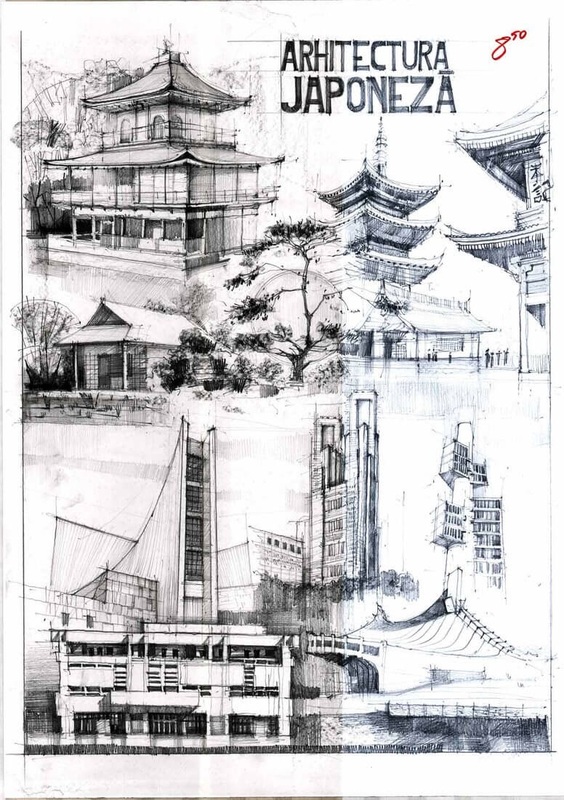 Even though some of these buildings are thousands of years old, architect and designers are still looking at them for inspiration and a starting point to create their own masterpiece. 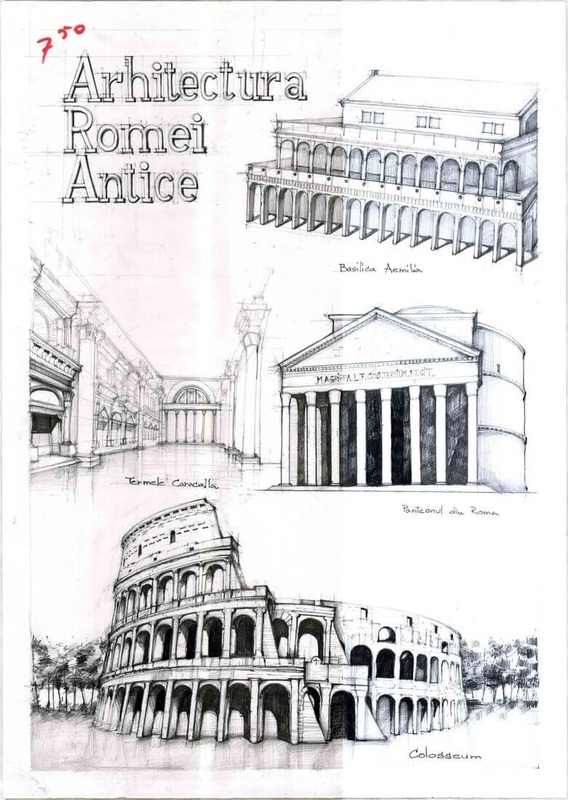 History of Classicism, Romanticism, Eclecticism and Steel Architecture. 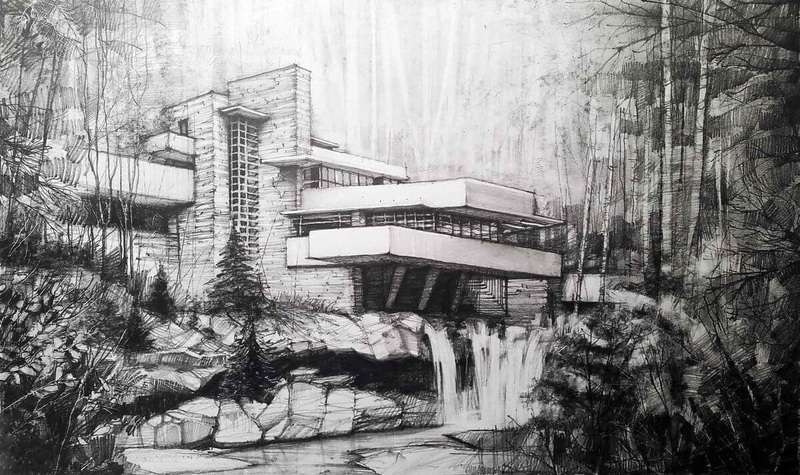 Fallingwater - Frank Lloyd Wright.